For many people in Asia, it’s the new year. In Mongolia we celebrate Tsagaan Sar and for others it’s Lunar or Chinese New Year. The Mongolian Lunar New Year is known as Tsagaan Sar (“white moon”) – the first day of the year according to the Mongolian lunar calendar. It’s a time of visiting family and friends, exchanging gifts and eating great food together. It’s also a time of new beginnings. With this festive mood in mind here are the top 5 new year marketing resolutions you should consider. Share great experiences. One of the most important parts of lunar new year is sharing a meal, or generally meet up with loved ones and spending time together. The same can be true for brands. Your customers are the most important people in your world but are you sharing new experiences with them? Now is the right time to discuss your new products or services. It’s also a good time to try new things. Digital marketing continues to be a huge growth area for many brands. More and more consumers are embracing digital as their preferred channel for buying products or dealing with customer service challenges. Have you updated your website, social channels, e-commerce or mobile apps to engage with 2019’s consumer? Give gifts and show your appreciation. It is the season of giving! Companies and brands don’t need to always focus on how much money they can make. Sometimes it’s the right to give back to the community. Responsible marketing and corporate social responsibility are becoming more important than ever. In Mongolia and around the world, people struggle with the challenges of winter, with poverty and generally struggle to keep up with the changes in the modern world. It’s time to embrace a giving mentality and help your loyal customers and the community you operate in. Reconnect with old friends. The lunar new year is mostly about reconnecting with your family, friends and loved ones. This can also be true of products and brands. Often loyal customers are forgotten in the rush to acquire new users. It’s the right time to reflect on the customers that have helped build your business up until now. Start with a CRM program aimed at reconnecting with older customers. Focus on ways to reengage or restart a relationship with your long-time customers. This could be through your social media channels (as your greatest fans are probably there, saying nice things about you) or sending a direct, personalised email to them. Show off a little bit. At this time of year, it’s “out with the old and in with the new”. New clothes, new attitude, new you! As a marketer it can also be time to show off a little bit. Tap into the positive mood that many people have now. Show off your new products, invite in your VIP customers to new events or sneak-peaks of what is coming. New is always exciting and as a marketer your job is to show off what great products are coming this year. Get healthy. 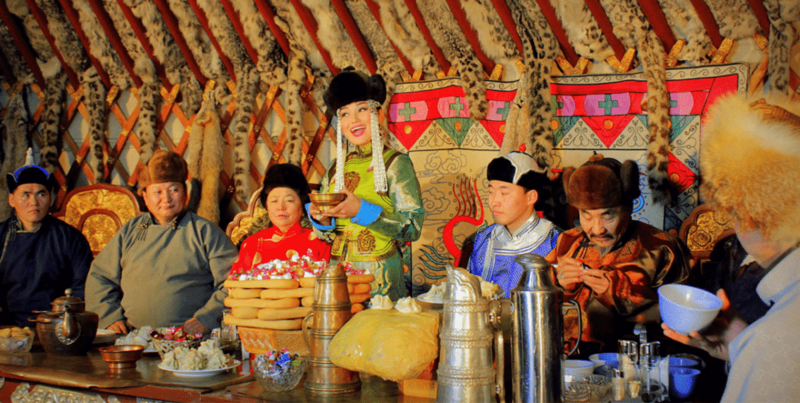 The biggest problem with Tsagaan Sar or Lunar New Year is too much delicious food! It’s a time of food and overeating. Now that the new year has started its time to get fit and healthy. The same thing is true of your brand and product marketing. Is your marketing getting a bit lazy? Are you trying new things, or getting fat on the old way of doing things? Why not try engaging your customers in new and exciting ways? 2019 is a year to embrace mobile marketing, to win with digital marketing and to use consumer data in new and better ways. Go through an audit of your 2017 and 2018 marketing campaigns. See what worked and what didn’t. If you’re a smart marketer, ensure that you have marketing budget to test new ideas with your customers. Try to be lean and spend less, while doing more effective marketing. Happy New Year!